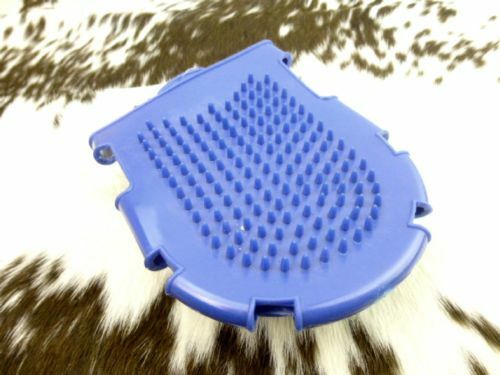 The Grooming Mitt Brush will transform your grooming sessions–it’s a mitt and a brush in one. 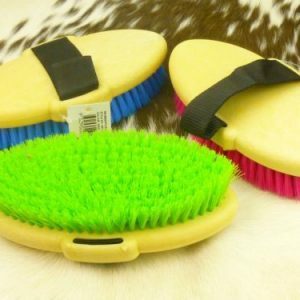 Get the strength and stimulation of 100% pure PVC brush bristles and massage with the pimpled rubber surface on the opposite side, all the while still maintaining that ever-important physical contact with your horse through the mitt. 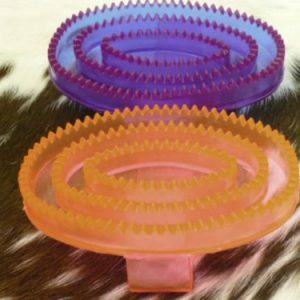 Pimpled side is excellent for drawing out unwanted moisture, debris, and loose hairs, then you can remove detritus with a swift sweep of the brush. 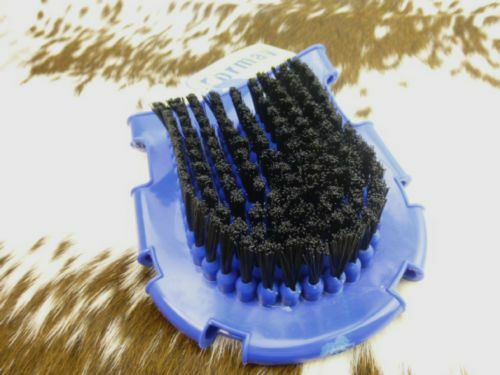 Or wet the brush for a water brush on mane or tail. 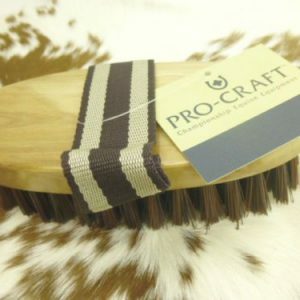 It’s professional grooming and cleaning, all in the palm of your hand. 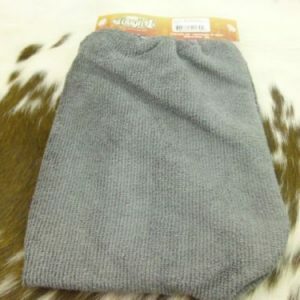 Easy to transport, clean and dry. Comes in assorted colors. Made in the U.S.A.